The 2002 is perhaps the most famous of BMW’s “New Class” line, and it revitalized the Bavarian automaker’s historically underwhelming international reputation. The world was captivated by the 2002’s attractive blend of power, agility and style in addition to its reasonable price tag. 2002’s were offered in two varieties in the U.S.: the single carb’ed, 100hp base 2002, and the über-sporty 2002tii. Both were powered by a 2.0 liter SOHC I4, but the tii added mechanical fuel injection to wring out 130hp. Other variations included the cabriolet, targa, a three-door touring model, a twin-carbureted ti and a rare turbo, all intended for European consumption only. 1973 yielded a major aesthetic redesign, with rectangular taillights replacing the handsome round ones, and elongated bumpers added to meet U.S. safety regulations. The availability of parts for these cars is nearly limitless. 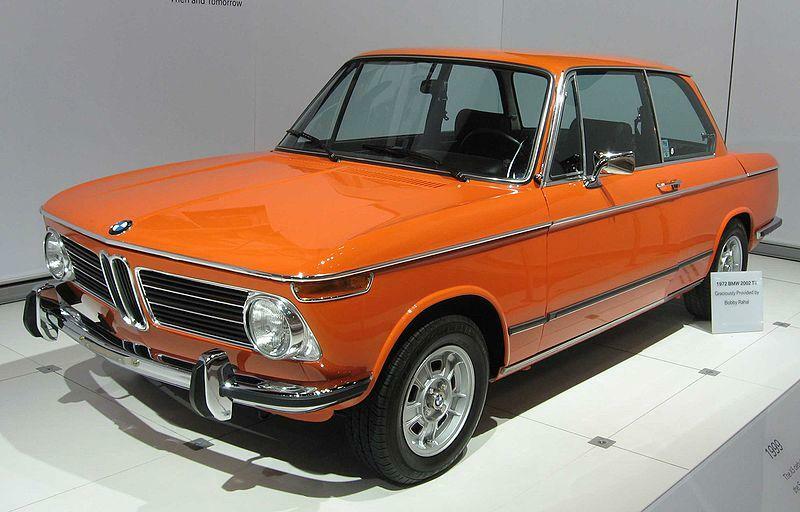 In 2005, BMW even constructed a “new” 1972 tii almost entirely from its vast supply of replacement parts.